We have our first entry for the Kids' Fishing Contest. Rylan's family submitted 5 pictures of fish that Rylan caught this Spring. He loves to fish and wants to be a professional fisherman one day. He used garlic to catch one of the fish! Check out all the pictures by clicking on the Kids' Fishing Contest Tab at the top of this page. Scroll down the page to click on the .pdf link for the full story. 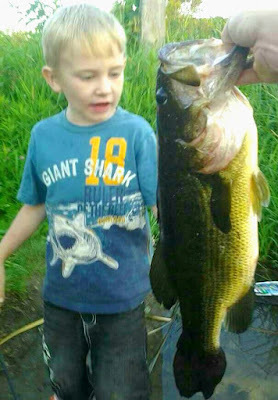 Remember there are only about 3 weeks left for your kids to enter the Long Lake Association's Kids Fishing Contest. Prizes will be awarded during the annual meeting June 27th. This is letter is an update about the Univeristy of Minnesota's AIS Research Center. Since the Association works so hard to combat zebra mussels and other invasive species, we like to keep up with others in the state on a similar mission. Unlike in the movies, science is not something that happens overnight. It is an investment that often takes years — even decades — to come to fruition. Finding a control for purple loosestrife took 25 years from initial exploration to implementation. It took over $5 million and 20 years to find and develop a bacteria into the product Zequanox that is just being tried in open water zebra mussel treatments now. And these are examples with positive outcomes; many others run into one or more roadblocks! This means we must work now, across many fronts, to use innovative science to find solutions to Minnesota’s aquatic invasive species problem. And that’s just what we are doing. MAISRC was founded in 2012, with additional funds awarded in 2013 to conduct specific research projects scoped by the Center’s founder, including detection, prevention, and control efforts on Asian carp, zebra mussels, aquatic plants, and VHSv. Part of these original commitments also included significant investments in education and outreach to translate research findings to the field for implementation. The first two and a half years of the Center’s existence have been focused on launching these projects, which included hiring two new faculty members as well as research teams ranging from 2 to 11 members in size in order to deliver on these commitments. All of these projects will have begun by year’s end. Yet if we are going to have an impact, more research is needed to find solutions to preventing and controlling the top threats to Minnesota’s waters. That is why I spearheaded a process starting last fall — which included input from AIS scientists; local, state, and federal AIS managers; current MAISRC researchers; and the public — to systematically identify the state’s top AIS research priorities. Final recommendations are coming before the Center Advisory Board at its meeting this month. We look forward to announcing these additional research plans with you soon. 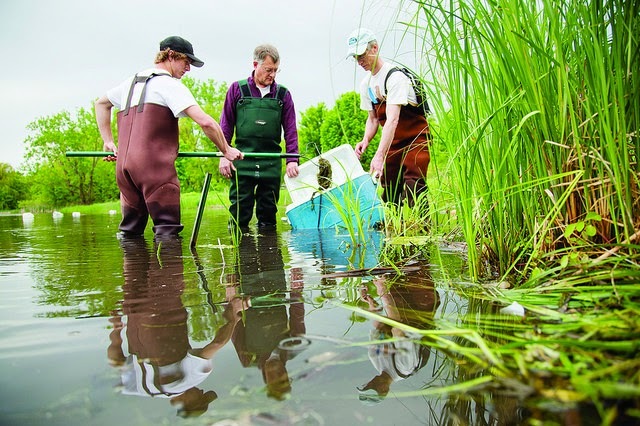 Thank you for your support of the Minnesota Aquatic Invasive Species Research Center.